When you’re charged with reckless driving, the piece of paper a police officer hands you is not a ticket. It’s a summons requiring you to appear in court to address the criminal charge of reckless driving. You can’t handle this situation the same way you would a speeding ticket—by paying a fine and possibly going to traffic school. The consequences can be very severe if you’re found guilty of reckless driving in Virginia. The potential penalties for reckless driving are severe and could change your life. In addition to any fine or restrictions on your driver’s license, you may also face potential jail time and a criminal conviction on your permanent record. Review the charges and evidence against you. Reckless driving for speeding is just one type of reckless driving charge. A lawyer will evaluate your summons and the evidence against you to determine the exact cause of the reckless driving charge. Identify and prepare possible defenses for you. 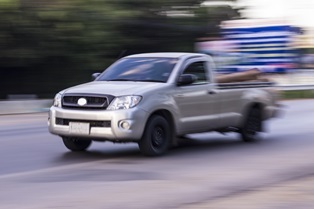 There are potential defenses in a reckless driving case, and after reviewing yours, an attorney will identify whether any of these defenses will apply. Represent you in court. Tough and experienced litigators know how to make sure your rights are protected and how to defend them, according to Virginia law. Call Quest Law PLLC after a reckless driving charge. We’ll answer all of your questions and provide you with skilled legal representation. Please contact us, or fill out our online contact form today to learn more.